Home » Blog » How effective are bollards at keeping people safe? Keeping pedestrians safe from motor vehicles has never been more important. Or challenging. Recent incidents where cars and trucks have hit people around commercial property highlights the potential danger, even when not terror-related. In some cases, drivers have deliberately targeted pedestrians. In others, they have simply lost control of their vehicle and ended up on the footpath. The risk of such incidents, whether accidental or intentional, is greater than ever. This means the safe segregation of pedestrians and vehicles around commercial buildings and public spaces is critical, regardless of the perceived level of risk. If your property fronts a road and cars can access it via the footpath, you cannot assume that it is safe. All premises that attract foot traffic are potentially at risk and property managers must work to minimise the chances of a critical incident occurring. Bollards can help, but they must be appropriately constructed and installed. If not, they won’t stop someone who is determined to cause casualties. Bollards can help, but they must be appropriately constructed and installed. If not, they won’t stop someone who is determined to cause casualties. If you plan to install bollards, ensure that they are rated to recognised standards such as PAS 68 or IWA 14-1. Bollards and similar structures rated to this standard have had vehicles driven into them during certification which is the only way to confirm what they can withstand. It is not possible to backward engineer or calculate what a bollard can perform to. If it is rated for 3500 kgs @ 40km/hrs, you can’t assume that a bollard will stop a 4000kg vehicle at 35 km/hrs. It just doesn’t work that way. Ratings are calculated and then verified so a bollard’s capabilities cannot be assumed for different circumstances. And if a bollard is not certified to a known standard, then we suggest they are not used in high-risk areas. Businesses and organisations must understand this before installing bollards, or the equipment may not fulfil its critical role in the case of a serious incident. We have recently consulted to several local councils on the protection of public spaces. In some instances, they have been reluctant to pursue hostile vehicle mitigation if the terrorism risk cannot be categorically qualified. This is simply impossible. No-one can accurately predict public risk in all circumstances. High foot traffic areas along busy city streets may appear to present a higher risk of a vehicle incident than a quiet shopping strip in the suburbs. But any street is at risk of a driver accidentally hitting the accelerator instead of the brake, or deliberately deciding to target pedestrians. This risk is extremely difficult to quantify and not necessarily mitigated or increased depending upon how busy the area is. As such, Melbourne’s Bourke Street Mall incident and others around the world involving vehicles and pedestrians are almost impossible to anticipate. Can we predict with any level of certainty when and where such incidents will occur? Simply put, we can’t. What we can do is be prepared if, and when, they do happen. This can and is being done. Melbourne City Council, for example, increased its use of bollards in city streets following the Bourke Street tragedy. In those areas, appropriate bollards can prevent vehicles from driving into pedestrian areas. Sydney, Brisbane, Port Phillip and many other councils followed the same strategy shortly after. Standards such as Pas 68 and IWA 14-1 are crucial when it comes to such protective measures. They validate the level of performance the bollard will achieve in the event of a vehicle hitting it. If we don’t know how the bollard will perform, what purpose is it actually serving? If we don’t know categorically how a bollard will perform, it should not be used. To ensure that it will do its job in a certain location, it is important to first qualify the risk and then fully research its construction, installation method and rating. If we don’t know categorically how a bollard will perform, it should not be used. These are all critical. Bollards that are surface mounted and affixed with bolts alone will not be appropriate. Once the bolts shear, it will be disabled. It is the same for bollards that are set in asphalt rather than concrete. Removable bollards are also generally unsuitable. If they can be lifted out by hand, they won’t stop a hostile vehicle. Some removable bollards are certified to the PAS68 standard but the footings are generally quite deep and they need a special lift to remove them as they are so heavy. Whatever your premises’ level of risk, hostile vehicle mitigation is an important part of minimising that risk. Predicting critical vehicle incidents, whether hostile or accidental, is not easy. But you can protect your property and the pedestrians around it by installing the appropriate protection. Bollards that meet relevant recognised standards can offer peace of mind and possibly prevent hostile acts. Where bollards are not preferred due to aesthetics or other design elements, engineered street furniture and planter boxes can achieve the same outcome. If someone is planning such an event, they will most likely avoid an area where good bollards have been installed. And if someone accidentally leaves the road, appropriately installed bollards will prevent their vehicle from hitting people behind them. In an ideal world, we would not need to go to such lengths to protect the community. But recent events have shown that vehicles can and do leave the road, putting pedestrians at serious risk. 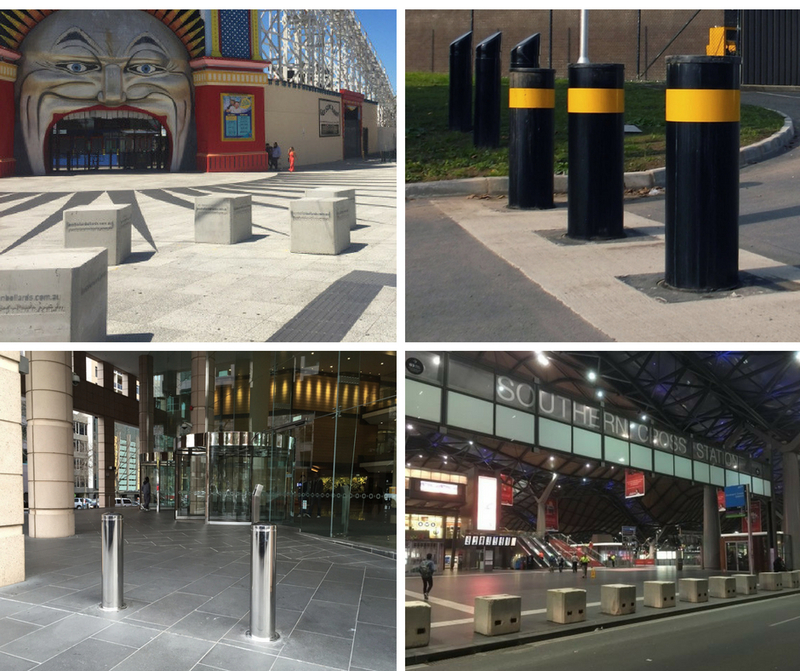 In the case of bollards, that risk can be minimised with the right strategy and equipment.